Holiday apartment 274771 It has taken us two years to find an apartment equal in style and elegance to our first successful acquisition in Prague. Holiday apartment 249907 You don’t need to live like a tourist while you visit Prague; you can live in a real apartment in the center of town. You’ll enjoy calling this apartment home. 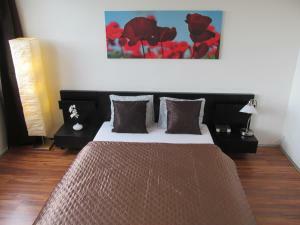 Holiday apartment 249822 Have you always dreamt of spending romantic time in Prague - the city of hundreds of towers? Spend your holiday in relaxing mood, in a comfortable apartment step away from historical center and all sightseeings. Holiday apartment 319079 Studio-apartment in residence “EXPO” is ideal for those who want to visit Prague, saving not only the money but also a time! Invalidovna Apartment price per day from €30 A 7-minute ride with the metro from Invalidovna Apartment will take you to the centre of Prague. This self-catered apartment comes with a well-equipped kitchen with a dining table. Invalidovna Apartment is set 150 metres from a pizzeria and a grocery store. A sports centre can be found opposite the building and the o2 Arena can be reached within 2 metro stops. A children's playground can be found 50 metres from the property. 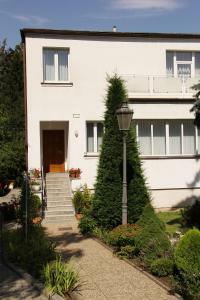 Apartmány Salabka price per day from €85 Located in Prague-Troja, 15 minutes’ drive from the city centre, Apartmány Salabka offers a terrace and a children’s playground. The property is set in a protected building with own vineyard. The accommodation units include a private bathroom with a bath or a shower, a fully equipped kitchen and a seating area with satellite TV. Guests can dine in a restaurant opened in 2014 and serving French cuisine, or enjoy tasting in a wine cellar and a tour in the local vineyard. River Diamont Apartment The ultra-modern Diamond Apartment By The River offers elegant accommodation along the banks of the Vltava River. All units come with free Wi-Fi and a private balcony. The Japanese Zen garden offers tranquillity and beauty in Rohanské Nábřeží, 1 km from the centre of Prague. The interiors are stylishly decorated in tones of warm amber and gentle peach. All apartments are equipped with a washing machine. Golden Family Apartments price per day from €106 Situated next to Prague’s Invalidovna Underground Station (line B), Golden Family Apartments offers apartments with free WiFi and a flat-screen TV. All the Golden Family Apartments' well-equipped kitchens come with a coffee machine, a refrigerator and a washing machine. Cleaning during the stay is available for a surcharge. 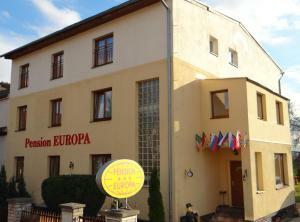 Views of the Prague Castle and the city centre are offered. Each apartment’s bathroom is equipped with a hairdryer, a shower and free toiletries. Villa Venus price per day from €50 Surrounded by a garden, this guesthouse offers rooms and apartments with TVs, private bathrooms and free Wi-Fi access. Guests can make use of the common kitchen and the barbecue facilities. 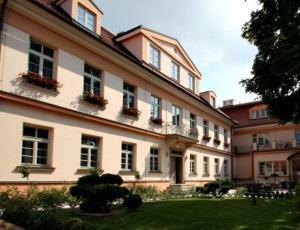 Villa Venus is 5 km from the Letnany shopping centre and Prague's zoo. Prague's historical city centre can be reached within a 15-minute ride by public transport. The bus stop Rokoska with the buses 102 and 186 is only a few metres away from the hotel and offers direct links to the Holesovice line C metro station. Castle Residence Praha price per day from €69 Set on a former wine estate dating back to the 18th century, Castle Residence Praha offers free access to the wellness area with a heated pool, jacuzzi and sauna. All rooms come with flat-screen satellite TV, air conditioning, minibar and an electric kettle. Free Wi-Fi access is provided in the entire Castle Residence. The Kuchynka bus stop with buses number 102 and 186 is 100 metres away. Surrounded by a lush garden, Castle Residence Praha is 100 metres away from the Vltava River Path, which offers good opportunities for cycling, hiking or running. Pension Europa price per day from €20 Situated in a quiet residential area a 5-minute bus ride from the Aquacentrum Šutka water park, the Pension Europa offers rooms and breakfast; WiFi is available for surcharge. The rooms are fitted with a seating area with a satellite TV, a safety deposit box, a minibar and a refrigerator. The private bathroom comes with a shower and towels. A restaurant, snack bars, a wine cellar, a supermarket, a pharmacy, a post office, and a sports centre featuring squash, table tennis, billiards, sauna, fitness and, tennis courts, can all be found within a 150-metre radius. Residence 3Domy price per day from €44 The modern Residence 3Domy offers fully furnished serviced apartments, free Wi-Fi and free access to a wellness centre. Each apartments features one or more bedrooms and a living room with a flat-screen TV with UPC cable channels, a fully equipped kitchenette and a sunny south-facing balcony. Clients are welcome to a wellness centre located in the same building where they can start their day in an indoor swimming pool and unwind at the end of the day in a sauna, hot tub or a steam bath. Hotel Mucha price per day from €28 Situated 200 metres from the Florenc Metro Station, the historic-style Hotel Mucha offers easy access to the heart of Prague. The spacious rooms feature free wired internet and tea/coffee makers. The Powder Gate in Prague's Old Town is a 10-minute walk away and Old Town Square with the Astronomical Clock can be reached within a 20 minute walk. Equipped with period furniture, all rooms in the Mucha Hotel have a satellite TV, minibar and free tea and coffee making facilities.